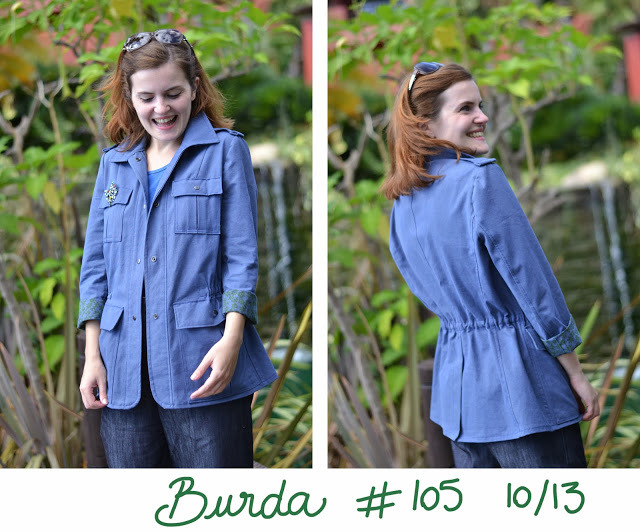 Home Tags Posts tagged with "Burda"
As soon as I opened the October issue of Burda, I knew I wanted the jacket #105. I even made a special Pinterest moodboard in order to choose what kind of fabric would be better (I like the camouflage version a lot but I know I will not wear it as it will not go with about 95% of my wardrobe). 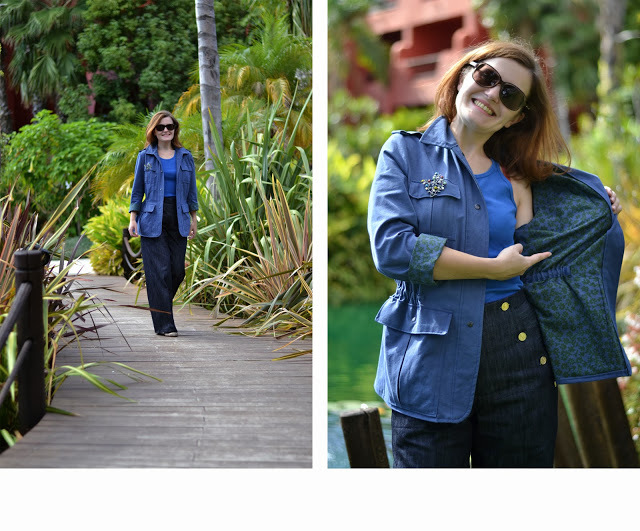 Finally, I remembered I had this blue cotton gabardine (originally beige but tyed in blue) left from a dress, with one side plain and the other with little flowers. 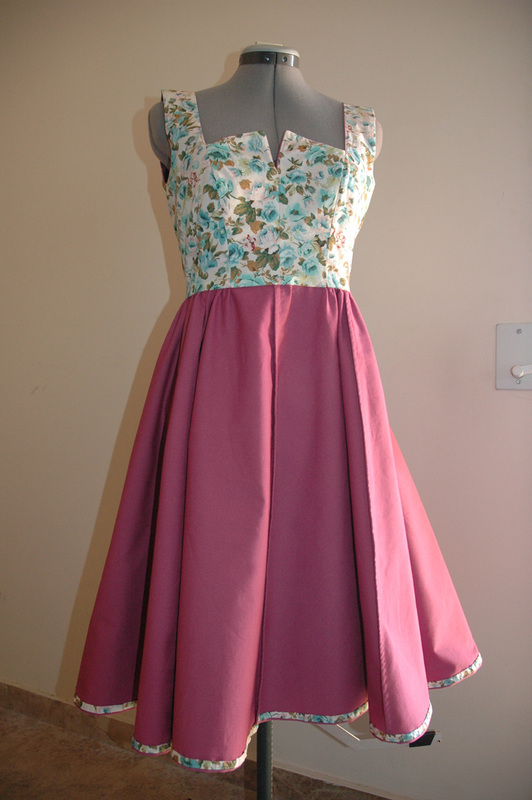 I decided not to line the jacket so the flowers would show inside and when the sleeves are turned up. I just had to make nice flat-fell seams. It was the first time I used hammer-on snap fasteners and I have to say they are pretty easy to use (I just had to borrow a hammer, oups). I changed some little things to the pattern: I omitted the front storm flaps, the zipper and reduce quite a lot the sleeve width. Other than that, nothing: the pattern is perfect. 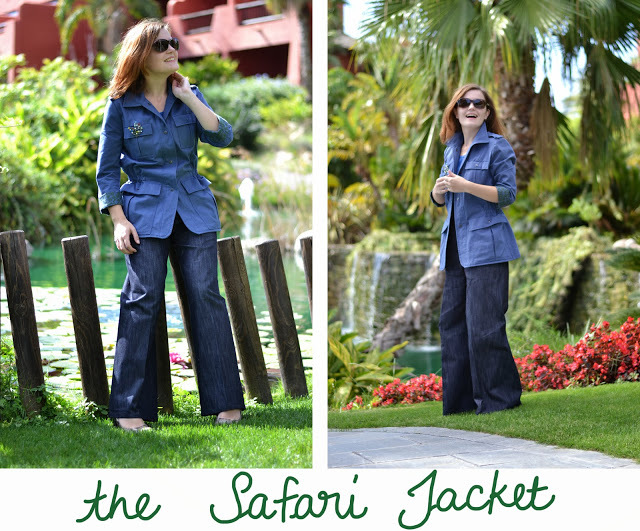 I wanted a jacket with lots of pockets for a trip (where the pictures were taken, doesn’t it look like a jungle?) so I wouldn’t have to carry a bag. I felt so free with the use of my both hands! 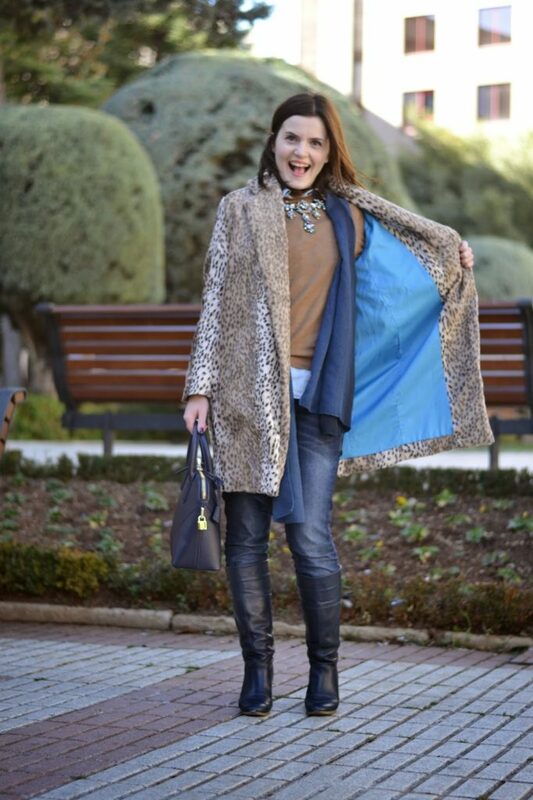 I had room enough in those pockets for everything: wallet, phone, 3 lipsticks, keys, mirror, blush… even my kindle! Best travelling jacket ever! Who said you need one Little Black Dress in your closet when you can have two? 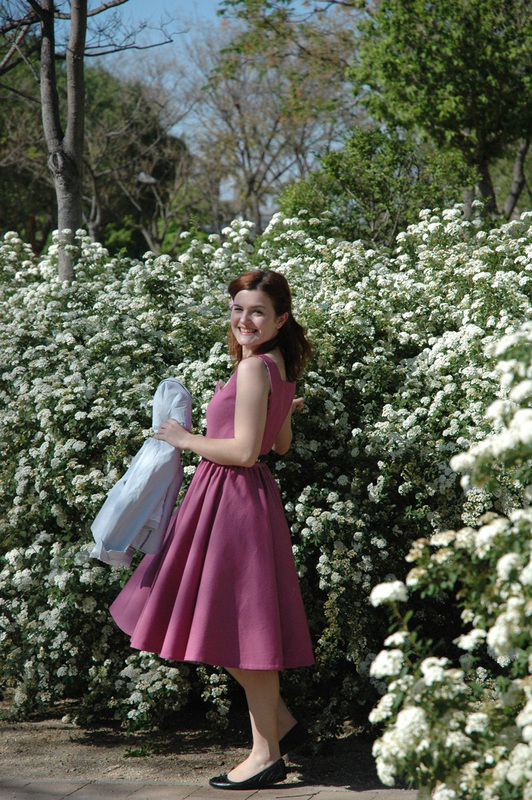 The famous Burda dress! As soon as I saw it on the August issue, I knew I wanted to make it. It’s a lot more mature and sophisticated that what I am used to wear on a daily basis, but the picture on the magazine was so beautiful I could not resist. The fit was great, I just had to taper down the hips a little bit, take the bodice in a couple of centimeters and shorten the bodice; the usual. 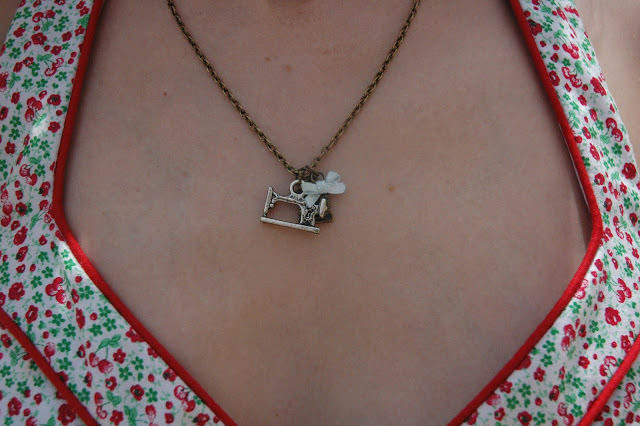 I followed the Sewalong Sonia did on her blog (La pequeña Aprendiz) with some delay but it was great to read what she and all the other seamstresses did beforehand. Obviously, at the beginning, I wanted to find some jacquard fabric similar to the one used by Burda, something metalic in black, silver or gold. But it was impossible or way too expensive. Then, I found this black fabric with great relief, I am not sure what it is but it looks like a very heavy cotton piqué. The dress is fully lined in grey lining fabric and I did a lot of hand-sewing to overcast all the seamed inside in order to reduce the bulk to a minimum. Because of its texture, the fabric felt quite dressy and I decided to go with it and add some pearls and sequins on the shoulders, as the original model. 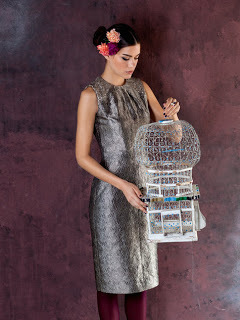 The beautiful original: dress nº 120, Burda Magazine from August 2012. This seems to be a winning team for me, so why change it? 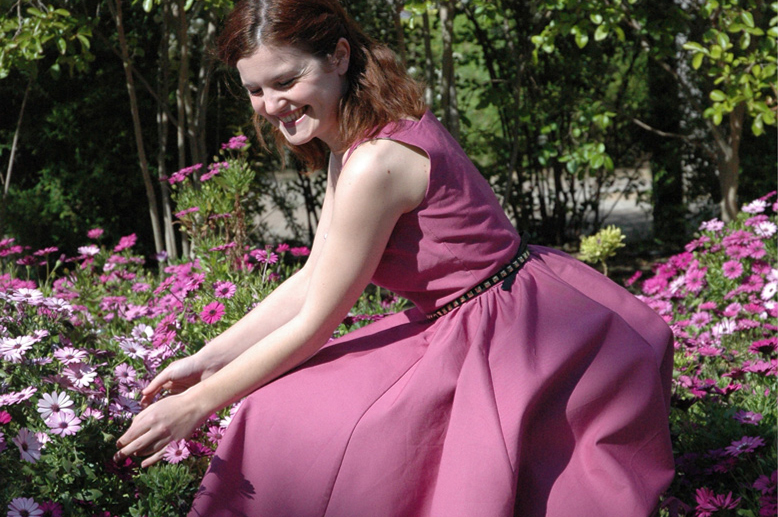 It’s my second dress for the Colette Spring/Summer Palette challenge. If I keep going this fast, my sewing projects will be finished very soon. Well, it’s not like I don’t have huge pile of patterns and fabric to continue feeding my sewing machine. 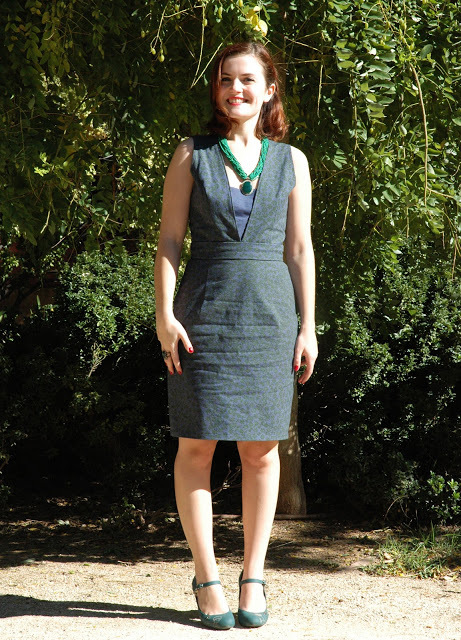 I used to top pattern of Burda dress 116 from the october 2010 issue. I was reading it at my friend Catherine’s house and I had to borrow it from her when I saw this dress. The pattern is easy, there are princess seams on the front and back, a little opening in front and a back invisible zipper. Again, I changed the skirt pattern for my own eight panels one. The original had a simple rectangle gathered at the waist. Nice but I prefer my own as it gives a New look style to the dress. I am not sure of the fabric composition. I admit that it was on sale and I liked the colour and the drape so I didn’t pay too much attention to the name on the tag. 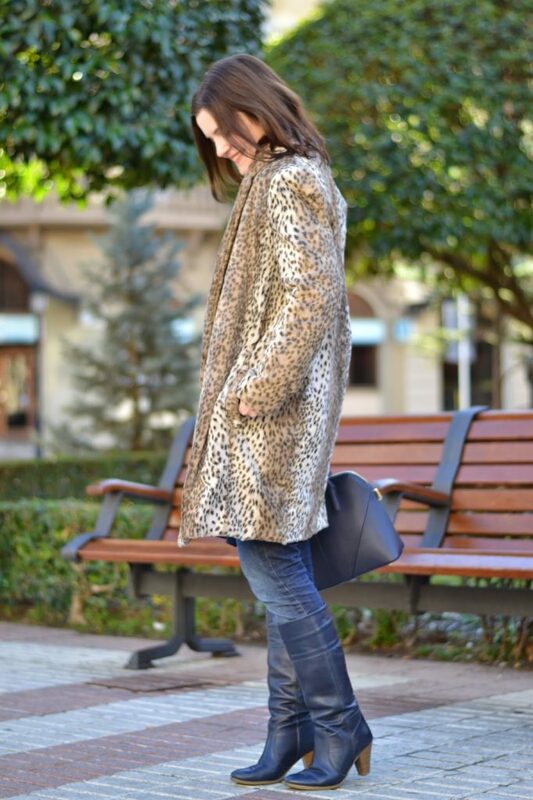 Well, I can say it’s a medium weight fabric, there is a very little bit of stretch and it’s very confortable to wear. Will that be enough? I enjoyed taking the pictures in the park, it’s so nice to feel the sun on my face and the gentle breeze playing with my skirt. I hope everybody had a nice week-end!